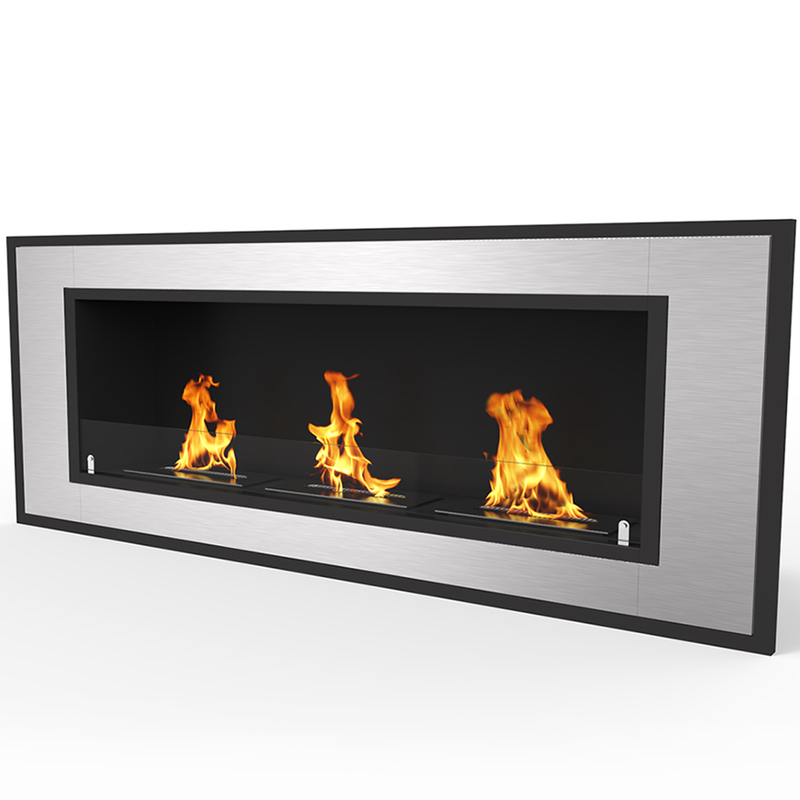 The 50 Inch Cynergy is a contemporary unique stainless steel frame with black trim recessed vent free fireplace with its due bio-ethanol burner concept, providing real malting flames that seemingly dance with one another. 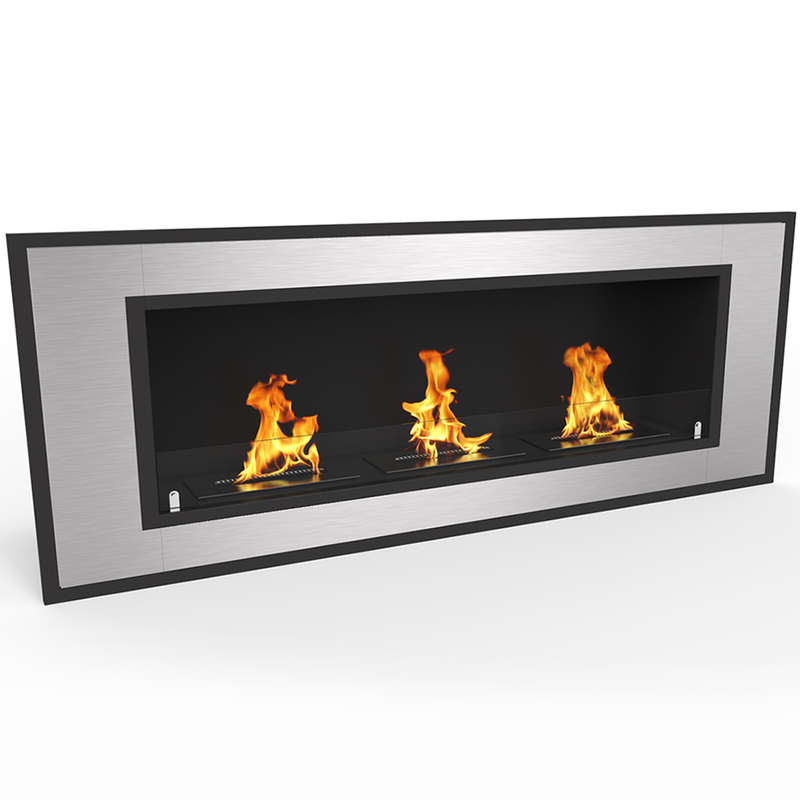 When lit, the Cynergy creates a breathtaking ambiance that cannot be equated. 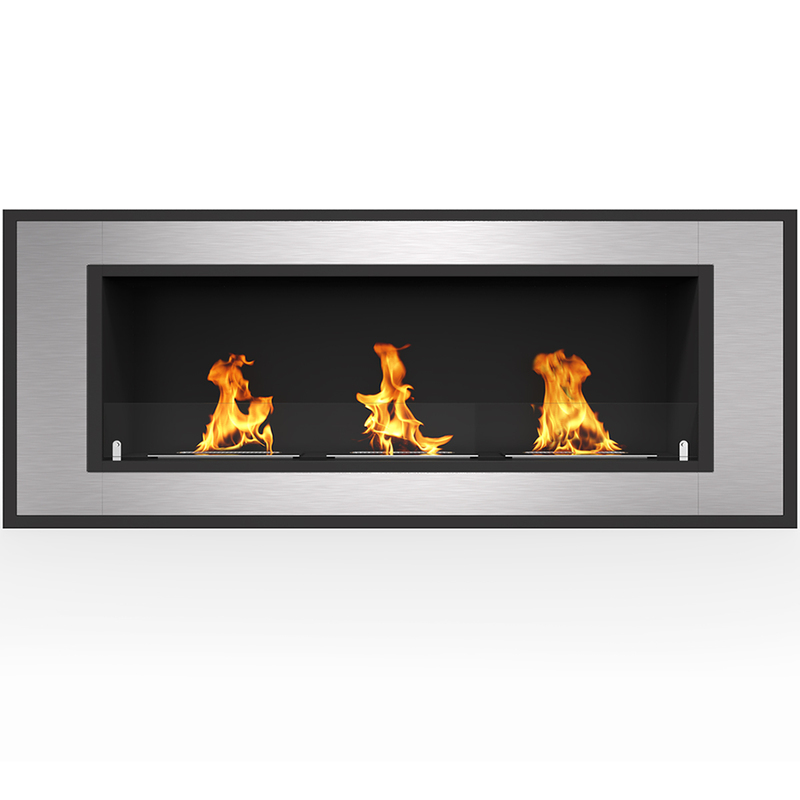 With its bold sophisticated steel outer frame, it represents a poised yet assertive look. 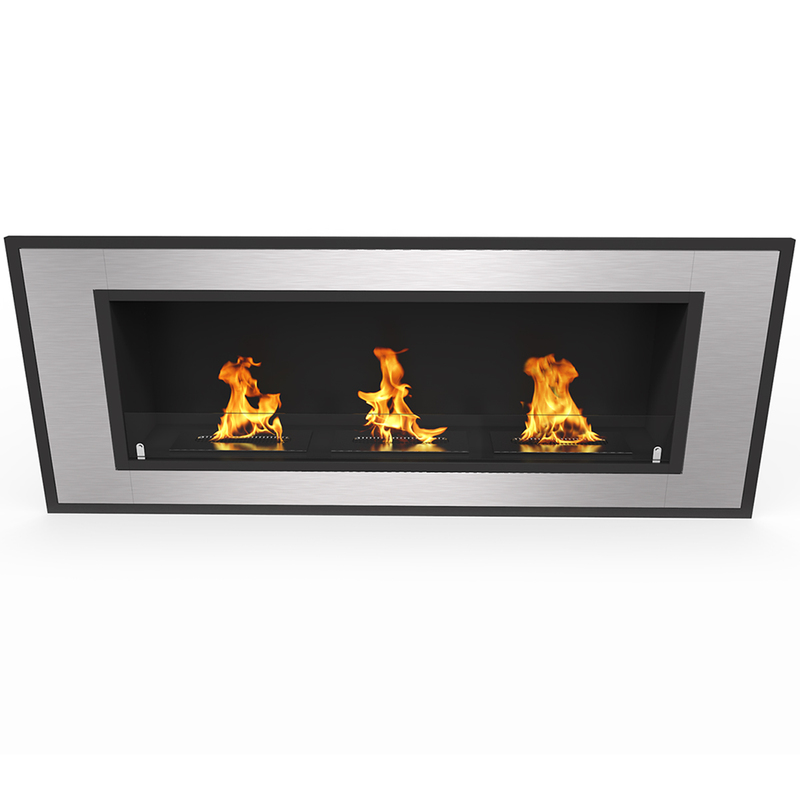 If you're looking for an easy way into a fireplace without doing all the venting, gas lines, building a chimney, etc., this may be a really good option for you. 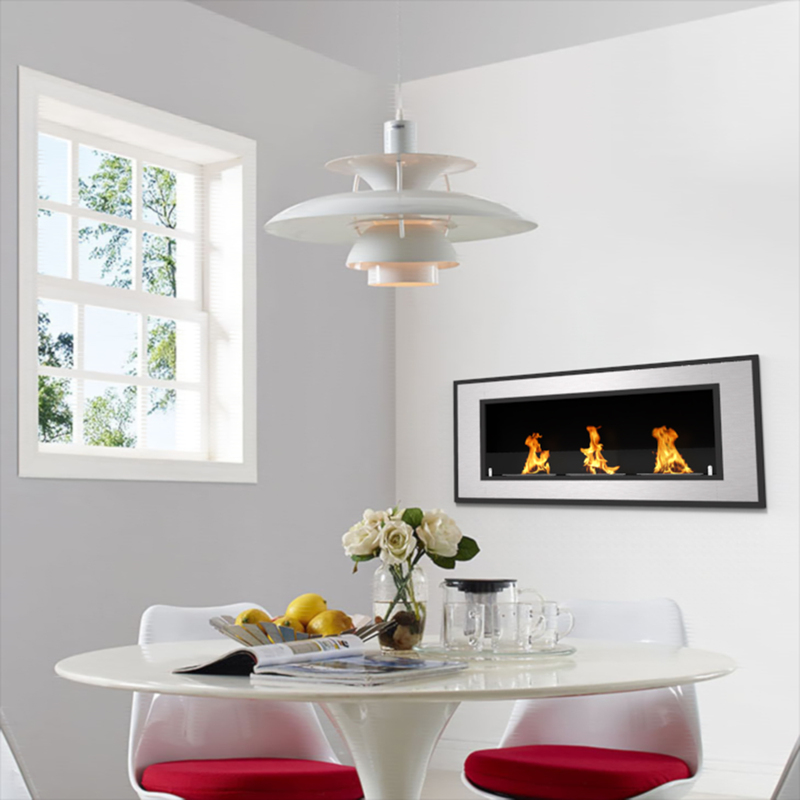 Great looking fireplace and gives off a lot of heat. Used in a retail shop & I get lots of compliments. 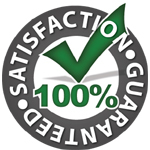 We are very happy with the purchase. 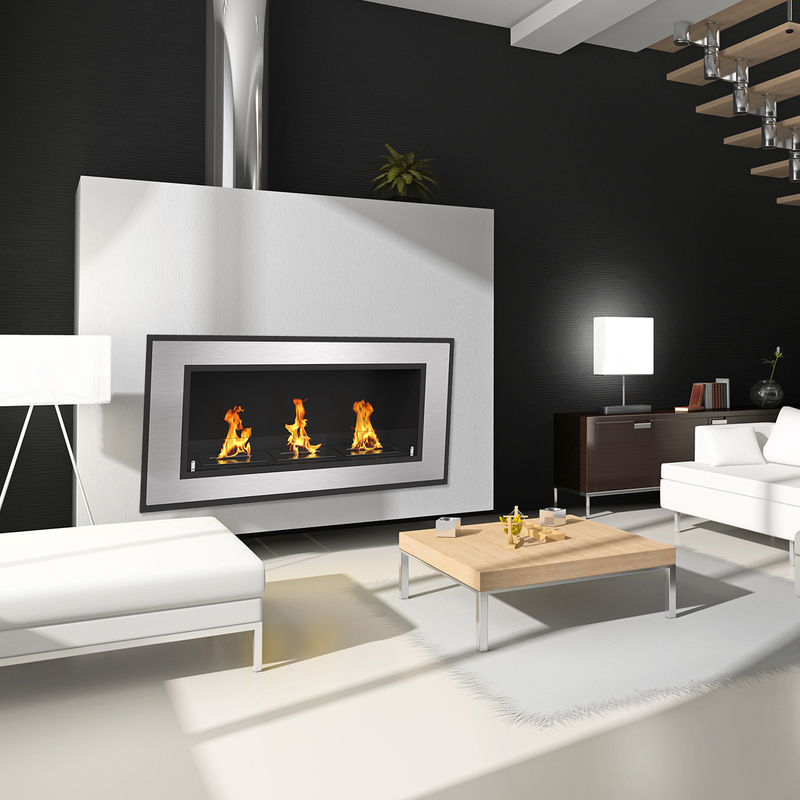 The fireplace is very elegant and expensive looking. We are so excited to get it going! I installed this in my living room and it looks great. I recommend this to anyone that wants a realistic looking fire without having to worry about a chimney. Was very surprised at how much heat come out! Love how easy it is to fill and no cleaning up when your done!